I am very lucky. Every year I receive an invitation to attend the Bangkok International Motor Show now held at Impact Arena Challenger Hall, and every year I look forward to it. Many reasons, but I have been attending motor shows from more than 40 years, including a very memorable one in Geneva in 1967, to which our editor at large John Weinthal and I co-drove the latest top secret release from British Leyland, long since gone to the wrecker’s yard in the sky. The hoped-for Geneva show stopper was an Austin 1800 (officially ADO17 in BL-speak, and unofficially called the ‘land crab’), rebadged as the Wolseley 18/85, complete with illuminated Wolseley button on the grille. This was taped over so that the utmost secrecy could be maintained on the road trip from the UK to Geneva. No wonder BL went under with cars like the 18/85 being pride of place. I enjoyed this year’s 34th Bangkok International Motor Show more than some of the recent ones. Exhibitors were finally producing Press Kits in English for a start, making the show even more “international”, and there were more exhibitors this year, with enough examples of Porsche, Ferrari, Lamborghini, R-R, Jaguar and the like for us mere mortals to look at, who will never afford to have one in our garages. Even little electric vehicle Gemcar had English brochures. 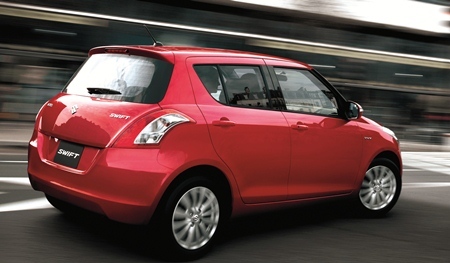 Another stand-out was the Suzuki Swift, reminding me of the chunky early Morris Coopers.